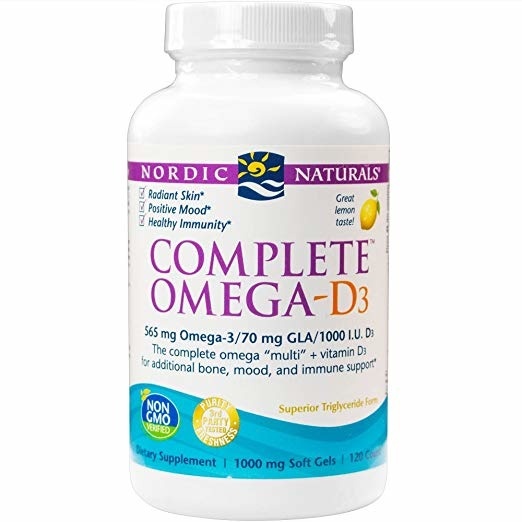 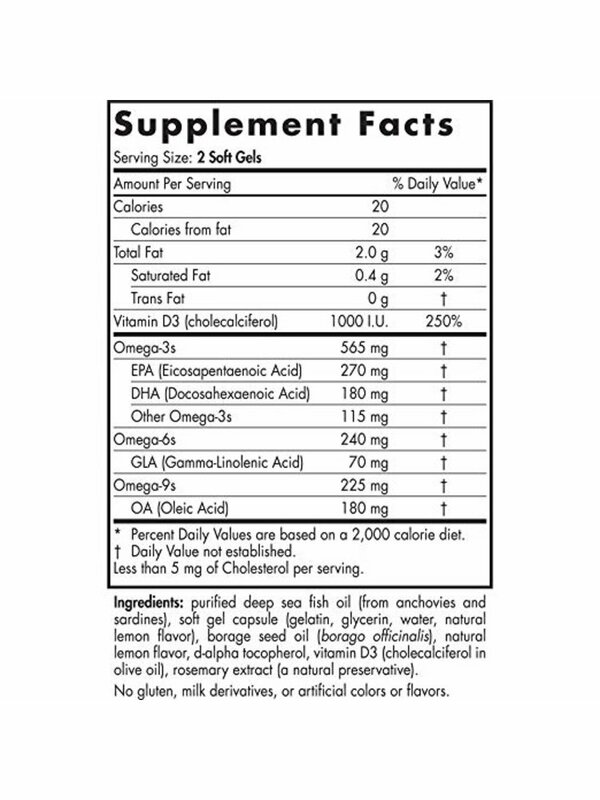 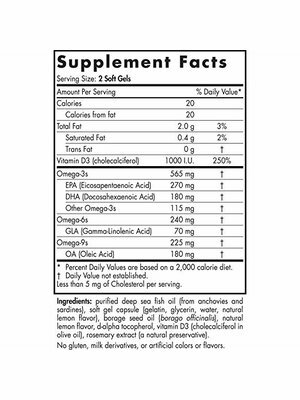 COMPLETE COVERAGE: Complete Omega-D3 provides full-spectrum essential fatty acid support that blends omega-3s EPA and DHA from fish oil to help promote a healthy heart, normal brain function, and a positive mood, with omega-6 GLA from borage oil to help with healthy joints and skin, and omega-9. 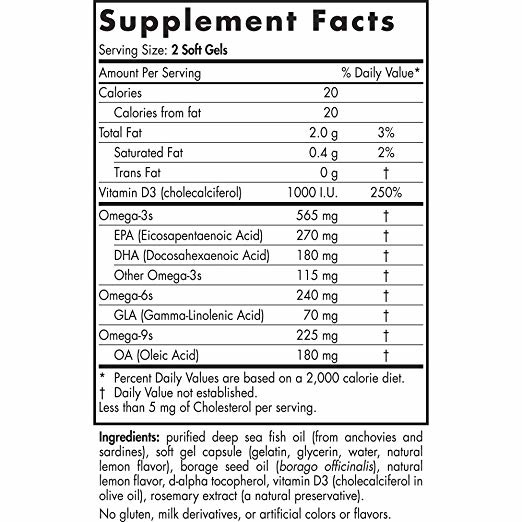 D-LICIOUS: In addition to all the omega benefits of our Complete Omega-D3, we've added 1000 I.U. 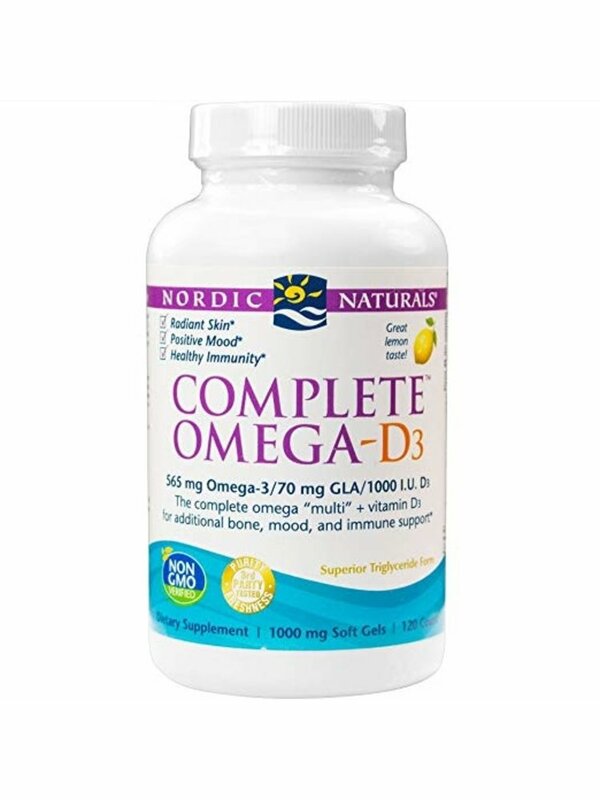 natural vitamin D3 to help support bone, immune, and mood health.